REVIEW - "What So Proudly We Hailed"
One family, one old boat, one test of faith to stay alive. Imagine what would happen if eighty percent of the United States were without power for three or four months. All banking and commercial transfers locked up; funds inaccessible. Wholesale and retail distribution shut down; no computers to manage sales. Passenger and freight lines grind to a halt; no electricity for the fuel pumps. No cell phone or landline service; systems down indefinitely. And the worst aspect of all; a total breakdown of law and order. This is the setting of James Howard's novel, What So Proudly We Hailed. The unthinkable has happened; a limited nuclear missile strike has destroyed the power grid beyond any immediate repair. The protagonist, Jason Ribault, sensing the societal breakdown to come, flees with his family in an old cabin cruiser to wait out the worst of the chaos behind the deserted barrier islands of the South Carolina coast. There they listen to unfolding events on a short-wave radio, not the least of which concerns a hostile political influence that seeks to seize control of a nation struggling to right itself once again. Pursued by their own immediate dangers, the family is pushed farther and farther into the desolate salt marshes where they find other families in hiding. Eventually, anxious to unite with a family member in danger, they turn back into the chaos, to see the full extent of what happened to the America they knew. Electric with page-turning suspense, What So Proudly We Hailed is an eye-opening book every American must read. Description from GoodReads. This is a story of the trial of faith, overcoming temptation, and the choice to stand true to Jesus Christ. Jason Ribault is out working on his boat when he is asked to take his son to the store to get supplies for a school project. On the way home he sees and sees an "unnatural yellow light that grew rapidly in intensity, as if an alien sun were rising in the North." Turns out it was a nuclear missile headed to take out a power plant. It was not the only bomb, but part of a series that was meant to take the electrical power from most of the United States. Jason gathered his family and plans to leave the mainland and live in their small boat while the worst blew over. He knew that there would be lawlessness and looting and wanted to spare his family. One son chose to stay with the family of his girlfriend rather than join them. This story is one of survival. Jason, his family, and his daughters friend live on the boat and listen to the events transpiring throughout the world on a short wave radio. They are protected from harm, that does come and seek them out, and meet friends who all have the same purpose. 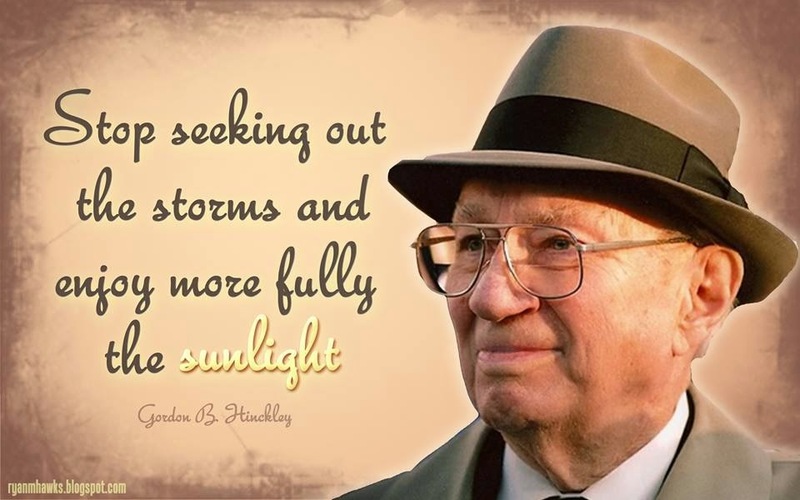 The purpose is survival and faith in Jesus Christ. James Howard's book is one of the times prophesied in the Bible before Christ comes again to the Earth. He reminds his readers that we (the people of the United States) as a nation are loosing our faith, and that when we are no longer faithful we loose God's protection. I found his book to be very thought provoking and well written. This is a great book for any who love to read and ponder the words found in Revelations. I received a copy of this book to review from the James Howard. This in no way influenced my opinion of this book. The book begins with a high priestess sharing events from a vision with her disciples. She is telling them about what will occurr in one of her future lives. What follows is the tale. The first thing that hit them—and this was well before they reached the site of the caravan's encampment—was the stench. The smell of death was heavy in the air…A dark, evil force, able to strike with overwhelming power has descended into the western deserts of the Middle Kingdom. With one blow he has shattered the political hopes of two great nations. One little child survives, a child who has the potential and who will one day have the strength to make all the warring factions of this region stop and take notice. This riveting saga spans lifetimes, weaving spirituality, magic, and the bonds of love and karma. 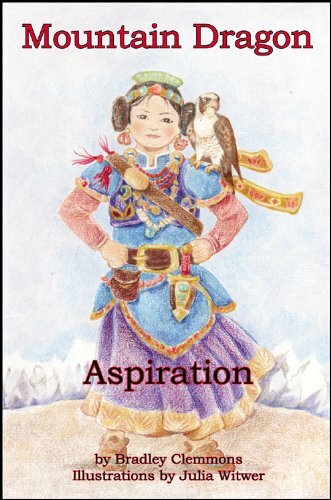 In this opening volume as we meet our heroine the reader is popelled with her on a journey of mastery and enlightenment. Description from GoodReads. A group of bandits has just come across a caravan that they were planning on pillaging. Everyone has been killed in a horrible way, as the bandits were cleaning up and burning the massacre, they come across a little girl who was able to hide and live. They name her Jor-mo. She is taken by the leader, Tak, and raised as his daughter. She is five years old, and an extraordinary five year old. Her maturity level is far beyond any five year old that I have ever know. Maybe some wisdom has crossed over with her from a former life? Jor-mo is very gifted with animals. In fact she is amazing. She can mind communicate with a hawk that she raised from an egg. Not only that she has a spirit about her that brings people together. It is obvious that she has quite a productive future ahead of her. There is also political intrigue present in the pages of this book. The caravan was on a sensitive diplomatic mission. The leader of the assassins was a masked bandit. It could be Ali-Kan who is trying to take over the raiding of the trade routes, or something more political in nature. There is more to this story than the survial and training of Jor-mo. This book is fascinating. The author is a lay practitioner of Tibetan Buddhism. I enjoy his insight into ancient Buddhism. He laid a foundation that is complex, at times a bit slow, but interesting. Be prepared to take your time in reading this book. This is not a fast, fluffy read. Review - "The Magician's Elephant"
When a fortuneteller's tent appears in the market square of the city of Baltese, orphan Peter Augustus Duchene knows the questions that he needs to ask: Does his sister still live? And if so, how can he find her? The fortuneteller's mysterious answer (an elephant! An elephant will lead him there!) sets off a chain of events so remarkable, so impossible, that you will hardly dare to believe it’s true. With atmospheric illustrations by fine artist Yoko Tanaka, here is a dreamlike and captivating tale that could only be narrated by Newbery Medalist Kate DiCamillo. In this timeless fable, she evokes the largest of themes — hope and belonging, desire and compassion — with the lightness of a magician’s touch. Description from GoodReads. Before reading this book ask yourself the question "what if"? A young orphan boy uses his master's money "unwisely" by compulsively visiting a fortune teller. She tells him the impossible, his younger sister is alive and that he needs to follow the elephant to find her. Unfortunately, there are no elephants in the region of the world that he lives in. The impossible happens. A magician performing a trick mistakenly uses more magic than he ever has and an elephant falls from the ceiling, falling upon a hapless victim. An orphan girl dreams of an elephant who will come knocking at the door of the orphanage and take her home. An older couple without children despair and try to be happy with their circumstances. What if? What if miracles happen and love, redemption, and forgiveness can be found? This is a beautiful story. I enjoy the way that Ms. DiCamillo writes. 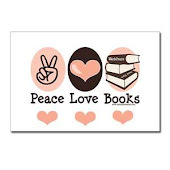 Her books are inspirational and fun. They teach you to dream and reach for something beyond yourself. Yes, even the Mercy Watson books. (What if a pig can catch the crook and save the day?) This story will leave you with a peaceful feeling and the realization of the power of dreams. Yes! Another book from my Book Bucket reading list. Slowly, but surely I'm whittling down the list. Only 47 more to go! (Can I hang my head and cry now?) What if? Maybe I can find redemption and actually make it through the list. This is one of the times I have to ask myself " what was I thinking?" Bruce Coville follows his earlier critically acclaimed retellings of Shakespeare's works with a lively interpretation of one of the Bard's most beloved comedies. In this boisterous tale of hidden identities and misplaced love, Coville once again weaves his own lyrical prose together with pivotal lines from Twelfth Night. Tim Raglin has captured all the hilarity of the play in his expressively comic illustrations. Shakespeare enthusiasts and newcomers alike will delight in this faithful, merry adaptation. Description from Goodreads. I love this format to introduce children to William Shakespeare's plays. The wording and the pictures make it easier to understand. He wrote his Shakespeare adaptations to provide a "hint" to young audiences what awaits them when they go and see the plays of the Bard. There is no way to compare the two, of course this will never have the depth of Shakespeare's actual works. I hesitated to attempt to review this book. It is part of my Book Bucket List challenge, so I wanted to put it out there and hope that you will want to give it a chance. I must admit that I am a fan of the works that Bruce Coville produces for children. REVIEW - "Kevin's Point of View"
Kevin's Point of View is Del Shannon's debut novel and shows a deep appreciation for the powers of imagination, family ties, and the desire of young boys to both escape reality and prove themselves within it. The fast-paced, adventure-filled storytelling style makes this a book with wide appeal for readers of all ages. Description from GoodReads. Hang on to your hat, fasten your seat belt and enjoy the ride. Because this book takes you on an adventure. Kevin is the main character who is really a character. He escapes inside his mind to filter out reality when things are tough. One minute he is Kevin, the next he is Captain Disaster, the hero who finds a way out of a difficult decision or situation. He started escaping into imagination when his father died the year before. Now that the stage is set, a surprise package comes. It has been misaddressed and Kevin is the recipient. It contains a dangerous device called the influxitron. The evil man who is looking for the device comes looking for Kevin and his friends intent on killing them and taking the device. Turns out the device is a time machine. Kevin begins to think about saving his dad. At times the adventure seemed a bit too much, without much of a break in between. But kids will love it. I might try to get my reluctant reader who is 11 years old to read this. I have to think on that one, because I have no intention of handing him my iPhone where the book is located. I received an eBook copy from the author to review. He's trying to get the word out about his book, and I really hope I have helped. I have been thinking about my challenge. I wanted to make it a little more fun and exciting. 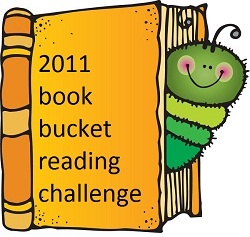 I posted 50 books to get off of my "to read" pile by reading them before 2011 is over. Ok, so I am behind schedule, but I still intend to get it done. I put all of my books that I need to review and some of the books from this list and put them on a calendar. I have approximately 3 books listed each week to read before the week is over. I am booked almost until August. I thought that maybe I could do a giveaway with each 10 books that I complete from the list. My original post is here. To make it an advantage for those who are signed up to do the challenge, I was thinking that they could have +10 entries, one for each book that I read. At the end of the year, everyone who has completed their lists can participate in a "grand finale" giveaway. If you do not have a blog, you can participate. Leave me a comment letting me know you are participating. When giveaway times come up, you can let me know how you are doing on your list. I do expect you to make a list of books that you want to finish. 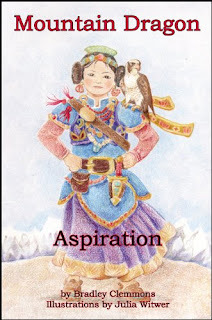 My teaser this week is taken from Mountain Dragon: Aspiration by Bradley Clemmons. Jade has moved from her past toward a bright future. But then the man she loves most destroys her trust. Jade Fitzgerald's hope for a perfect marriage shatters when her husband confesses he has an illegitimate son. What's more, he wants to raise the boy in their home. Hurting and confused, Jade embarks on a road trip to Iowa to take her sick mother to her childhood home. 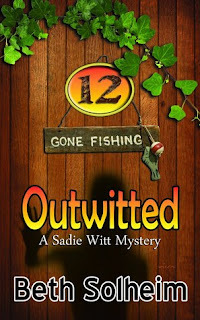 In the comfort of the old homeplace, Jade struggles with her fears and the tug of her first love. With the help of her family and her faith, she comes to understand her future doesn't rest on the power of her past, but in the goodness of God's mercy. Description from Goodreads. This is a beautiful story that focuses on the lives of three women. Each of them are living through a nightmare and coming to terms with their circumstances. June is Jade's mother in law. She has lived with her husband's infidelity for years an has had enough. Beryl is Jade's mother. She has leukemia. She was a free spirit in the 60's and is very different from her daughter. She came to visit Jade a year prior and because of her health never left. She wants to go home to die. The three leave on a road trip in a pink convertible. (The car that screams "road trip!") They are taking Beryl home. Their journey is one of self discovery and of God's love and mercy. I found many layers of meaning in the sweet book. First, there is the storyline. Then come the layers, forgiveness, self discovery, temptation, sorrow, finding God. The list can go on. The layers make for a good story. They add depth to the characters and help the reader understand the feelings and decisions of the characters. Overall I found this to be a great book. It has clean content and I feel a book that anyone would be comfortable reading. I downloaded this book from NetGalley to review. My thanks to the publisher, Thomas Nelson for making this book available for review and approving my request. 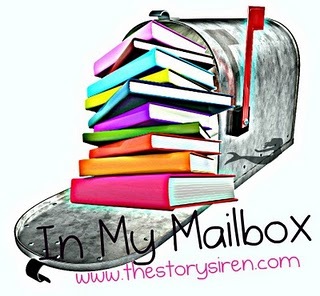 In my mail box is hosted by the Story Siren. She started this meme as a way to put on the radar of her readers the books that she had received. She knew that she could not possible get to all of the books, and wanted to get them out there for her readers to see and promote the books. 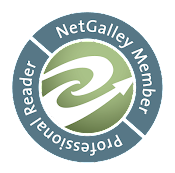 Click on her name for a link to take you to her page and find all of the other great books that other bloggers are receiving. She puts up a link on Sundays. Another week to share the excitement of reading and book ideas. This week I grabbed a few from Galley Grab, I was probably too greedy, but when you see what I picked you'll understand why I couldn't help myself. ; ). I also won a few from the Follower Love Hop. I have the ebook editions ready to share with you. I purchased this one. My daughter loved the first. They are both on my tbr list. I received this one from the author to review. Whew! What a week. I hope you had a fabulous week in your mailbox! REVIEW - "The Last Full Measure"
As Confederate and Union soldiers take over their town, the local residents can do little more than hunker down in their homes while cannon and gunfire explode around them. But the battles are not only fought between soldiers. At home, fourteen-year-old Tacy and her disabled brother lock horns as David struggles with his desire to go to war. He has strong principles, and it tortures him to allow others to fight while he does nothing. In the aftermath of this great and terrible battle, in which so many soldiers sacrifice their lives for their beliefs, David gives his last full measure…and leaves Tacy struggling to make sense out of it all. Tacy is fourteen and living through the historic events in Gettysburg during the Civil War. Her father is a DR. and two of her brother's are soldiers in the Union Army. She is home with her mother and older brother David, he has a twisted leg from an accident and cannot enlist in the war. David and Tacy struggle to make peace with their circumstances. David feels like a failure and wishes that he could be serving in the war. 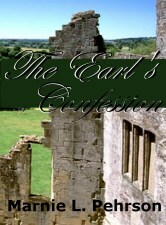 Tacy wishes she had her kind brother back, instead of the stern and strict person he has become trying to control her. Rinaldi did a wonderful job at telling Tacy's story. She described the horror of fighting in the streets, sleeping in the cellar because you don't want to be upstairs in case your roof is shelled. Having rebel soldiers enter your home demanding food, stealing horses, etc. One point that she made that I really liked is there is a place in the story where rebel soldiers are eating in their kitchen, and they see Tacy's best friend, Marvelous. Marvelous is black. They ask if Marvelous is free or a slave. Tacy states that Marvelous is free and the soldiers threaten to take her away to the South to be forced into slavery. Tacy pleads with them and tells them that Marvelous is her best friend and that is why they cannot take her. One of the soldiers says that he has lost friends to the war and that Tacy can keep her friend. He wants her to remember that not all of the Southern soldiers are bad people. The story is sad. War is sad. Rinaldi did a great job in pulling this story together. I would say that this is Historical Fiction at its finest. This book is appropriate for all reading audiences. I received a copy of this book to review from NetGalley. The opinions expressed are my honest thoughts and feelings. Thanks everyone for entering the contest on my page. I hope you had fun seeing what I and all the other blogs had to offer and I hope you all won something. There were two prize packages on my page. One for US residents and one International (anyone could enter that one, no matter where you live.) Winners were selected using Random.org. Both have been emailed and will have 72 hours to respond, if they don't I will pick a new winner. This is the week of love. Valentine's day was just a few days ago and I thought it would be the perfect time to read a book of poetry themed around love. This small book of poetry has a free verse appeal. The author likes to write in first person and tell a story in his poems. He writes more from a practical viewpoint, not the flowery words that are traditionally associated with poetry. I had two that particularly resonated with me: "Face of the Moon" and " News Flash". I also enjoyed the short story in the beginning about a couple truly in love and finding each other in each of their lives. My only complaint is that he used the 'f'' word a couple of times. It is one of my pet peeves. I can handle just about anything else, but that drives me crazy. Plus there is adult content. The poems are about love, and if those things don't bother you and you like poetry, this would be an enjoyable book. I received a copy of this book in eBook format from the author for review. 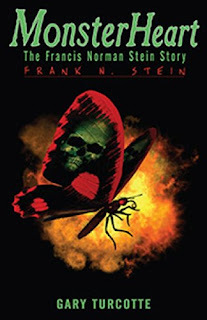 The Frances Norman Stein StoryFrank N. SteinA modern day monster This is the story about a High School football star that turns to drugs to enhance his game. He experiments with steroids and other mind altering drugs. He loses his High School sweetheart, to drugs and alcohol. Francis mixed any drugs that he can get his hands on; risking his mental and physical health. He became delusional and he can't distinguish what is real or part of his drug induced illusions. He's involved in henous crimes that he has trouble remembering. Pimples, cyst, cuts, and dark circles under his eyes, make him look like the monster that the drugs have created. The terrible reality is that this story is happening to today's youth. The Monster lurks nearby. Don't let it get your children! Description from GoodReads. Francis is a star football player who takes steroids to enhance his body and game. His life begins to spiral out of control as he increases the dosage and adds other drugs to the mix. His physical appearance changes and he begins to look more like a monster. His mood swings to violence. While under the influence of drugs, he performs acts of crime that he would not normally do. He doesn't remember the horrible things that he does and realizes later that he is a criminal. When I started this book I was a little worried. The book describes the story in the prologue and first chapter, rather than tell the story. I was relieved in the second chapter when the Gary Turcotte changed his writing style, so it didn't feel as if I was reading an essay. He does a great job of telling the story of the physical decline that occurs from continued drug usage. 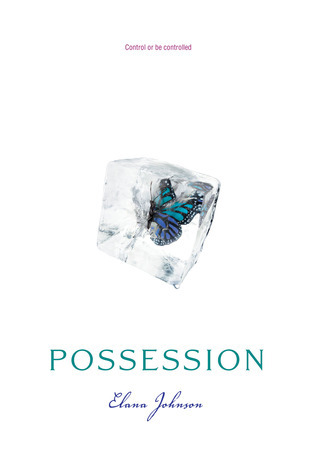 If you would like to scare your teen from using drugs, let them read this book. I also like that he described physical side effects from the use of steroids. It may be a good thing for parents to watch for in their children. Francis literally starts to look like a monster. This is a sad story of self destruction and the power of drugs. They destroy lives. This book graphically details the decline and loss of humanity. I received a copy of this book from the author to review. I have honestly given you my opinion. 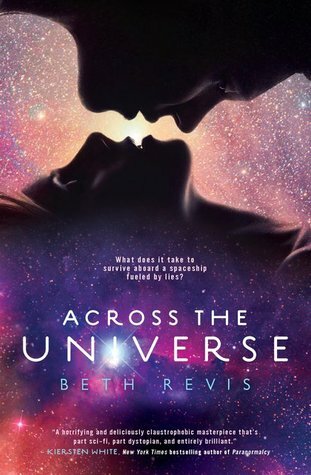 REVIEW - "Across the Universe"
What else is there to say other than "wow"! Beth Revis has created a believable and well developed piece of fiction. The book starts off with Amy and her parents undergoing the process of becoming frozen to travel across the universe in a voyage that will take 300 years. Amy hears the technicians talking and they mention that the takeoff date is a year behind schedule, but they continue with the process of freezing the passengers anyway. Amy has a full and productive life on Earth and she keeps thinking and screaming in her head that she wants her year back. Then the story picks up with Elder. He is the future leader of the ship Godspeed. He is learning about the ways of running the ship. The society of the ship is described and the beginning of the storyline is laid out. Amy is unfrozen early and is thrust into a very strange society. Her awakening is brutal and she was left to die. Murders are beginning to happen to the other frozen people. Her main focus is to protect her parents. The rules are different and the people do not act like people. They act more like robots or animals. They lack emotion and the ability to think on their own. One of the most disturbing things to me is that there is "season". The people act like animals and mate in the open on the streets. Humanity has been lost and changed on the voyage. I don't want to tell you anymore about the plot. It is well developed and is a fantastic read. There are many disturbing elements in the story and many secrets. This book will keep you fascinated until the conclusion. I gave it four out of five stars. I purchased this book because I wanted to read it, and I didn't win it in any of the contest I entered. This is a YA novel, but I would not recommend it for younger YA readers. It has material that many parents would find inappropriate for a younger audience. My teaser this week is taken from "Monster Heart: The Francis Norman Stein Story (Frank N. Stein)"
Congrats to the Follower Love Hop Winner! There were 420 entries in this contest and the random number generator has selected # 276. Thanks to all who entered and remember that I am taking part in another giveaway hop at the moment. Who know this time "the odds may ever be in your favor." Autum has been emailed and if she does not respond in 72 hours, I will pick another winner. Thanks to Good Choice Reading and Once Upon a Twilight for being wonderful hosts to all of us and organizing this event. Spring Muslin by Georgette Heyer Sir Gareth Ludlow is a sought-after bachelor in London high society; wealthy, noble, handsome… and brokenhearted since the death of his true love many years ago. I loved this book. I could imagine it on stage as a comedy of errors. Una Ragazza Tutta D'Oro by Rachel Ryan Personally, I have no idea what that title says. If you read Italian, you do! It belongs on your shelf and not mine. 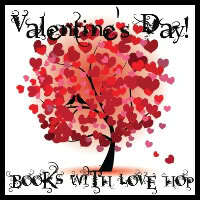 (Or on the shelf of someone you may know who reads Italian and likes romance.) This edition is signed by the author and in great condition. Bangla Hope Bookmark Handcrafted by women earning a living in Bangladesh. Proceeds from this item helped support destitute ladies earning a living and orphans. .My Ridiculous, Romantic Obsessions by Becca Wilhite Sarah Howard's first year at the university is everything and nothing she expected especially when a very cute boy named Ben in her Art History class starts to show interest in her. There are scenes in this book that still make me giggle, and it has been awhile since I read this book! There you have it! You must be a follower to enter. Pick one venue to follow: GFC, Networked Blogs, or twitter. All three options are found in the right side bar. It will be +1 entry for each, but only one to enter. (Clear as mud?) Fill out the form. You do not need to comment, but if you could translate the title of the Italian book? I'm curious to find out the title. For the US you must be 13 or older to enter and the International 17, because I do not know the content of the Italian book. Please have a reliable address. I cannot be held responsible for lost or missing items. You can choose to enter for one, or if you live in the US for both. Thanks for stopping by and good luck! 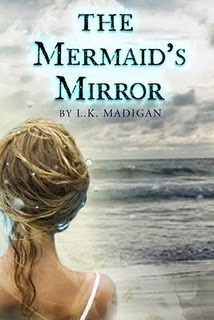 The Mermaid's Mirror by L K Madigan. I read that the author has cancer and I wanted to participate in the effort to help out her family by purchasing her books. 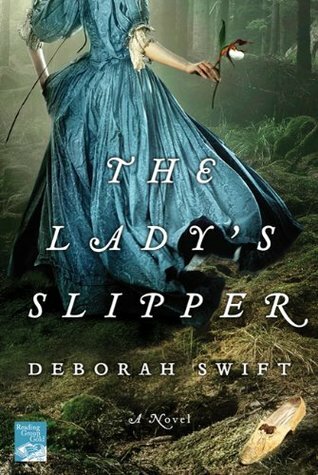 The Lady's Slipper by Deborah Swift. Won this in a first reads contest at GoodReads! At Witt's End by Beth Solheim. Purchased for my kindle for $1.99 at Amazon. I purchased this book because it is Book #1 and I got the sequel in the mail. 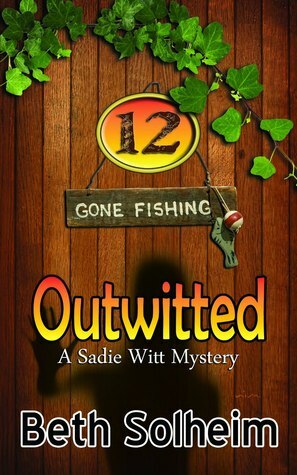 Outwitted by Beth Solheim. I received this copy from the author to review. Posession by Elana Johnson. This book was sent to me as a galley from Simon & Schuster to review. Spiral X by J.J. Westendarp. I won this in a giveaway from Novel Addiction. This is an eBook copy. There is my week. I hope you had fun books in your mailbox. The Sworn is Book One of The Fallen Kings Cycle, and it picks up the adventures of Tris, Jonmarc and the Winter Kingdoms gang six months after the end of Dark Lady’s Chosen. There are all new challenges, lots of dark magic and the biggest threat Margolan has faced in 400 years. Summary from Goodreads. I didn't realize that this book followed another series of books. I had not read the previous series and it took me a bit to figure out the established relationships between the characters. I did it, so it can be done, but I would highly recommend reading the first series before this one. I have put "The Summoner" (Chronicles of the Necromancer) on my TBR list and look forward to getting to know more about the characters and social structure. This book is filled with paranormal creatures that so many of us love to read (Yes, when I say us, I mean ME.) There are they vyrkin (shape shifting wolves), the vayash moru (vampires), ashtenerath (zombies), loads of different levels of magicians, and ghosts. I would say something for everyone. 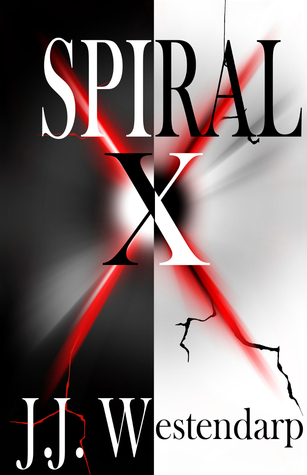 The story follows about four story lines. Each story line is uncovering information that all lead to the same conclusion. War is coming. Not just any war, but a war of unmaking. Basically a war to end it all. 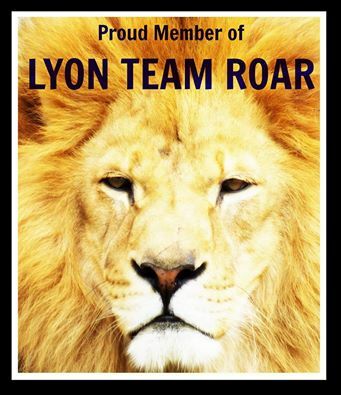 They begin to come together toward the end, all working to save the world as they know it. I enjoyed the story. It took me longer to read than I anticipated, but well worth the time. I received a copy from Netgalley to review. Winner of "My Enemy, My Beloved"
I have sent Leanna an email. She has 48 hours to respond before a new winner will be picked. If you didn't win and are interested in the book. Click on the Amazon link!